Hello, everyone. How are you? Shall we get to it? Any of you out there hitting the wall with your writing? 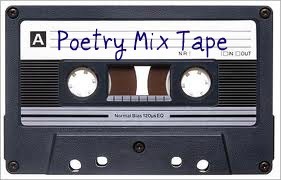 On The Poetry Mixtape Donna gives us Jack Gilbert’s The Great Fires, a poem she read while trying to find where the heck her muse has gone. Her prompts are both fun, so head over to check it out. As with all Saturday prompts, the new prompt will be up tomorrow, or you can wait for next Friday! Whichever, visit. Joseph Harker gives us Reverie thirty-eight: tiocfaidh ár lá where he shares with us, again, his understanding of a poem form from another country, one we would probably not have come across, never mind tried, otherwise. Here is our chance. Even if you don’t post, make the attempt. You wouldn’t believe the muscles that are stretched. Bonus: you will learn the pronunciation of several Irish Gaelic words. Over at The Music In It: Adele Kenny’s Poetry Blog, Adele asks us to consider Autumn and write about it without being trite. She offers several ideas. To read the possibilities, and to be given links to corresponding poetry, visit. At The Sunday Whirl, Brenda has chosen her words from a Sherman Alexie poem. Head over for a link to read the poem; it is incredible. While there, copy the words down and write a poem. You might do that before you read Alexie’s poem. Visit to see the wordle and to read what others have done. At Carry On Tuesday, Keith gives us a line from the novel The Smoke Jumper by Nicholas Evans. He reminds us, as it is a long line, that we can choose to use only a part of it. There’s my smile. It is time for Limerick-off Mondays. Go to Mad Kane’s Humor Blog. Look around while you are there. She calls it a humour blog for a reason. Go for the laugh. It’s healthy. It doesn’t much matter if you don’t want to write a limerick; reading them brightens a day. Fact. Visit Magpie Tales for our first image prompt, a painting by David Salle. I love it. Talk about a wealth of possibilities. You could write a series of small poems and find a connecting point that runs through them. At Poetry Jam, Dani speaks of art for art’s sake vs didacticism. Visit to read the prompt. Have a problem conveying a truth pithily? Visit Elizabeth’s site, Musical Notes. The new song will go up every Tuesday. This one is fun to play and tinker with, not only because the inspiration is a song, but because the response must be done in 15 words. Sounds fun, doesn’t it? It is. Show up next Tuesday! Carolisle at Wonder Wednesday has a fun prompt, involving listening to Andy Williams. I figure if all you do is go over and listen to him sing, you’re good. Don’t panic if you click on the video and it says, click here to go to YouTube. It’s safe. The prompt has words of wisdom, so head over and read it. At imaginary garden with real toads, Ella’s Edge has us reveling in fashion. Head over to read what she says. We also have Fireblossom Friday giving us a little magic. There are other interesting challenges. Wander through the gardens. Go play with the toads. We Write Poems wants us to try stream of consciousness. I always suggest freewriting because I believe in it, but I cannot ensure you are following my suggestion [wretches — I know]. WWP has made the freewrite the prompt. Go read and then write. Oooh! This week on dVerse, Samuel discusses collages and centos, a favourite form of mine. Go to read what he says. Give it a try. This form has its own special excitement when a good result is achieved. Stay awhile; it’s such a friendly place. Time to pull out the hot chocolate, almost. Come on over. Patricia K. Lichen, Author, in her Weekend Haiku & Limericks has at least one article, and one photograph to use as prompts for a haiku, or a limerick [and if it sparks something else, wonderful. Just because you can’t post other, doesn’t mean you should ignore inspiration. Am I right?]. The images of flowers, alone, are worth the visit. Patricia’s site has the feel of walking on a beach, or through a forest. A comforting feel to it. I shall see you next Tuesday for a prompt on your inner child; next Thursday for links and an update on yesterday’s discussion point [if you haven’t chimed in, get thee over there; we’re waiting]; and next Friday for the Roundup. Happy writing, everyone. Ryder Cup this weekend. Bliss. Thank you, Donna. Yes, he is. Done, carolisle! It’s waiting moderation, so check later.